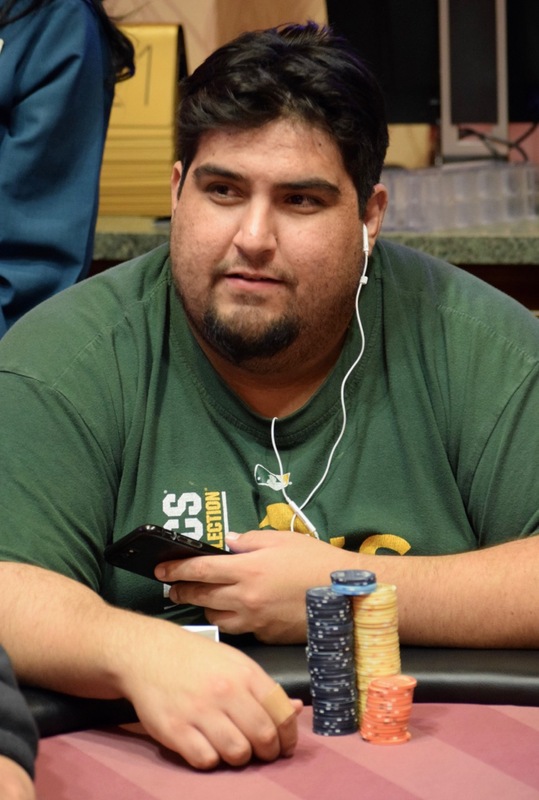 Toan Nguyen opens for 4,500, draws a call from the cutoff, another from Rellie Sigua in the SB, then David Valdez moves all in from the BB for his last 43,900. Nguyen takes about a minute to fold, the cutoff takes about 5 seconds. Sigua asks for a count ... has about 80,000 behind ... and calls with Jack_Ten. Valdez shows pocket Fives and he's pushing up from his seat when the flop goes Q-J-4. "Whoa," says Valdez when a Five lands on the turn. Sigua his his set on the river .. Jack on the river .. but that gives Valdez a full house and he moves to 100,000.